We work to make it incredibly easy for professionals and customers to connect; one way we do this is with quick replies. 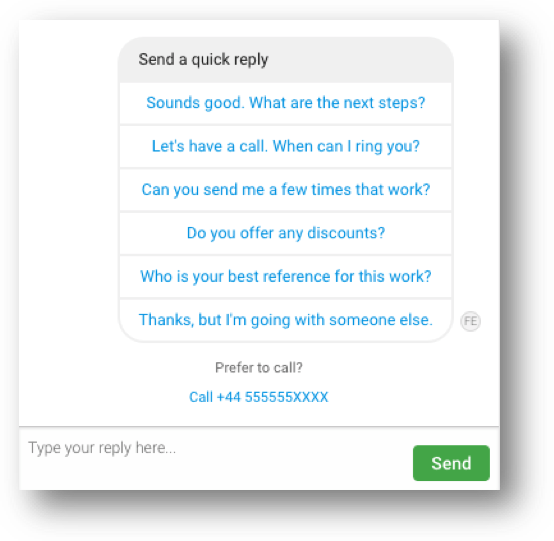 After analysing the most common replies that customers first send professionals, we created a one-click solution that they can use to respond to bids with. This saves customers from having to type out their initial message and gets the conversation started faster. Simple.